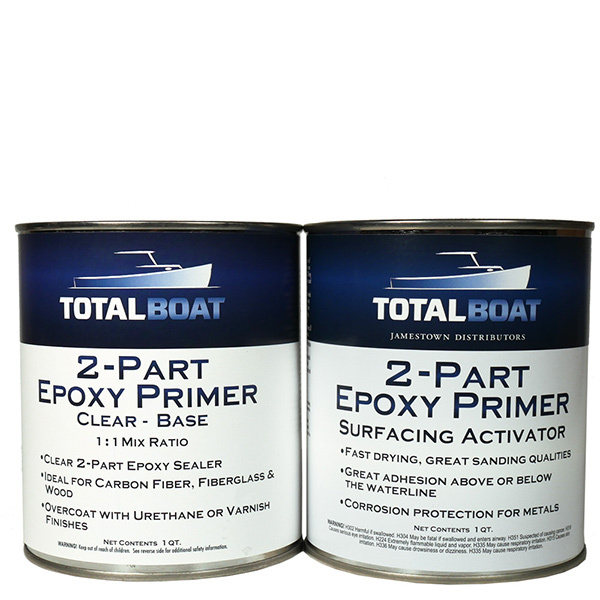 This ultra-clear epoxy primer features a high-build formula that fills the weave, enhances the texture, improves durability, and seals composite layups using carbon fiber, fiberglass and Kevlar®. Also great as a finish primer for fiberglass or previously painted surfaces. Overcoat with clear urethane topcoats or varnishes. 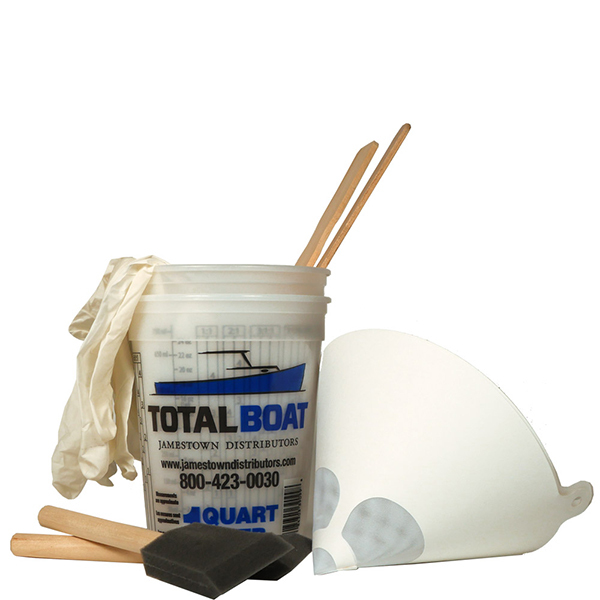 TotalBoat Clear Epoxy Primer fills the weave, smooths, and seals the surface on reinforcement fabrics such as carbon fiber and Kevlar®. Its ultra-clear formula enhances the attractive look and texture of these cosmetic composite fabrics, with fewer worries about solvent pop. Apply it as the finishing primer on a hand-layup project, or as the first layer in a mold layup. It dries fast to let you build up to 12 mils wet in 3 hours. It remains clear and won’t turn yellow. Primer sands easily, if needed, once cured. Overcoat with UV-resistant clear urethane topcoats or varnishes.